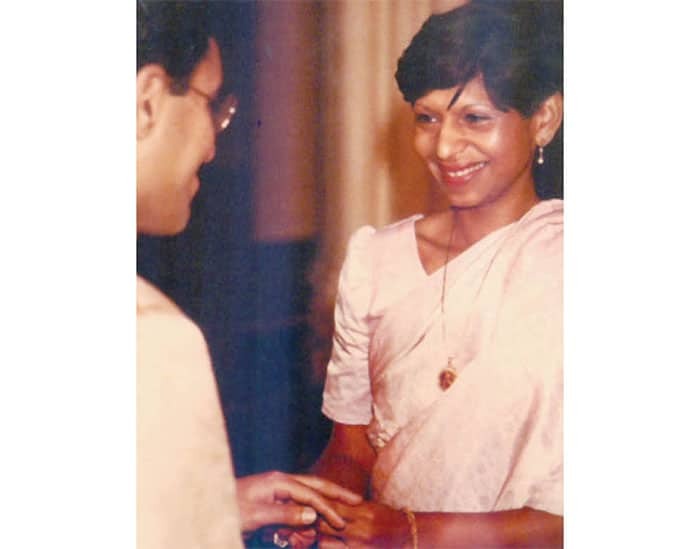 Star of Mysore (SOM): You lost your wife Nisha Meneses when you were just 33-years-old. Why have you chosen to remain single, because, just after first 34 pages when you write about her in the book “Devil’s Advocate,” it touches a raw nerve in all of us? Karan Thapar: She was also 33 then. Nisha died now 28, no 29 years ago. Why didn’t I get married again? I will give you an honest answer. SOM: Oh, you still have the wedding band? Karan Thapar: Yes, absolutely, I have never taken it off; I will never take it off (with a lot of emotion). After Nisha died, this used to be her chain (pulls it out of his neck hidden in the close collar and shows it to me) and when I first met Nisha she used to wear this chain around her neck, right, and then she used to wear it for about a year and then she stopped wearing it. It was in her cupboard, when she died. I found it, I took it and I said to my father-in-law, can I keep this? This is the memory of Nisha that I want to keep forever because when I first met her she had it and so I have worn this for 29 years and this (showing the wedding band) I have worn since December 3, 1982 and every single day I have worn this. It has never come out of my hand. SOM: But why didn’t you marry again? Karan Thapar: Why didn’t I marry again? I will tell you. Karan Thapar: I can give you the answer very honestly. Of course, I have had girlfriends; I have had brief affairs but I never married anyone because I realised that inside Karan there is a child as well as an adult. As you pointed out, as your Editor pointed out, Karan keeps doing this (bringing his fingers to the mouth) that is the sign of the child. There is a child and there is an adult and I was very lucky Nisha loved the child. Sometimes the child in Karan would irritate her, no doubt about it. She would often say to me, grow up for God’s sake. She used to joke and call me Kitti Baba, that was her nickname for me. Nisha and Karan at their wedding on Dec. 3 , 1982. And when she used to travel (she used to travel a lot in her job) every month for ten days she would be out of London and I would always say to a few of my friends, “Who is going to baby sit me?” She used to say, “You have to grow up and learn to be on your own at home. It is not the end of the world.” I would put all the lights on in the house, when she was not there because I hated being alone. And after she died, I said, Oh my God, I need someone to baby sit me all my life and I realised the child in me Nisha loved, most other women would not love the child, they would be irritated. I was lucky I had a wife who liked the adult and the child in me. She was special in that way. I don’t think I have ever found and I don’t think I will ever find someone like her. Nisha was a very, very, very special woman. SOM: That is what touches everyone’s heart. 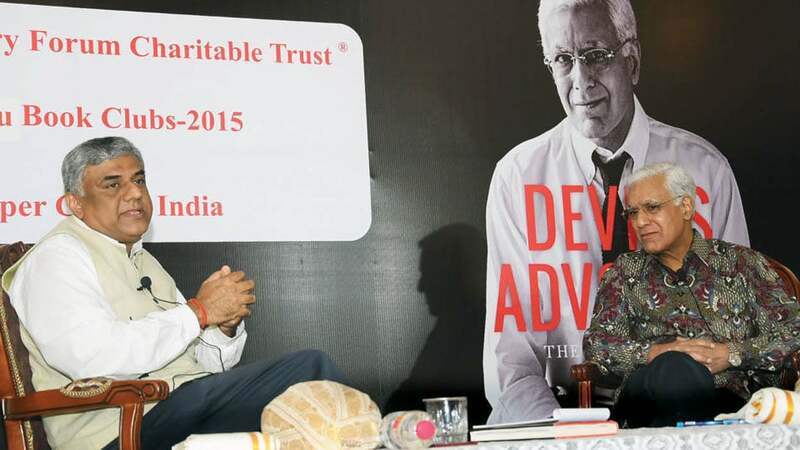 Karan Thapar: She had much more successful job than mine and earned seven times more than me. She was a banker. We bought a flat that cost 100,000 pounds. All because of the mortgage she got which was about 3 per cent, while everyone else used to get mortgage at 7 and 8 per cent. And the whole thing became mortgage-free when she died because the bank insures it. SOM: There is another incident recalled by Author and Film-Maker Vivek Agnihotri where he reveals that though you like the pilot episode of the TV serial ‘Yeh Kahan Aa Gaye Hum’ …. Karan Thapar: (Interrupts) Apparently, I told him to remove Nandita Das. SOM: No, Pallavi Joshi. You demanded dropping Pallavi Joshi because of her skin colour as she was dark. Did you really do this because it is nothing but racial prejudice and least expected from a liberal person like you? Karan Thapar: I will be honest with you. I don’t even know who Vivek Agnihotri is. I am really sorry. If this happened, I have no memory of it at all and (emphatically) I don’t know who he is, I don’t know where we met, I don’t know what pilot episode this is. I know nothing about the story. I know about this because someone sent this to me as it was on a website or something. I don’t think we ever met but if we met I might have forgotten. SOM: The story is very interesting because you told him she is dark skinned and you cannot have her in that role and at that time you were with Hindustan Times television wearing these flashy clothes. Karan Thapar: Let me tell you something (he suddenly picks up the book “Devil’s Advocate” lying on the table, frantically flips through the pages and finally finds the page where their wedding photograph is), see the picture of Nisha, she is presumably the same colour as Pallavi Joshi. Have a look at it, I will show it to you. There you are, it is there, it is there. Nisha was Goan and she was darker than me. It did not matter to me at all. It did not matter to anyone. So, I can’t outright say he is lying at all. If I had met him I have sadly forgotten who he is. SOM: Do you have any recollections, off the cuff, apart from A.R. Rehman which you have said was one of the toughest interviews? Karan Thapar: Okay, I will tell you a story about P. Chidambaram, the former Finance Minister, which is not there in the book. Chidambaram got angry with me when he was Finance Minister, when I asked him a question about Arjun Singh’s Bill that was seeking reservations for OBCs in the Universities. SOM: This is exactly what happened? This was how he responded? He got very angry and didn’t talk to me for two more years !